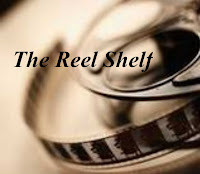 Description: Unlucky in love once again after her possible-marriage-partner-to-be proves a little too close to his parents, Sofia Khan is ready to renounce men for good. Or at least she was, until her boss persuades her to write a tell-all expose about the Muslim dating scene. As her woes become her work, Sofia must lean on the support of her brilliant friends, baffled colleagues and baffling parents as she goes in search of stories for her book. In amongst the marriage-crazy relatives, racist tube passengers and decidedly odd online daters, could there be a a lingering possibility that she might just be falling in love ? 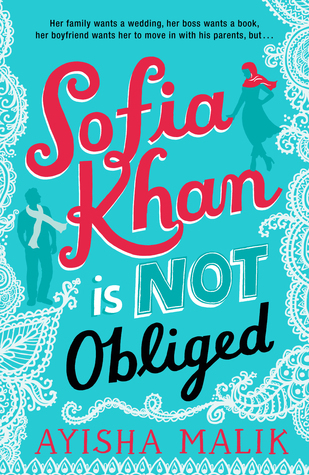 Review: Marketed as a "Muslim Bridge Jones Diary", I took a chance on reading Sofia Khan is Not Obliged. While it is a romantic comedy and it is narrated via a blog/diary format, Sofia Khan is far from Bridget Jones and thank goodness for that. Sofia is a wickedly funny and smart first generation Pakistani Muslim hijabi living in London and working in the book publishing industry. Just bouncing back from a broken engagement with a man, Sofia is ready to swear off men except, she accidentally pitches a book about Muslims "dating" to her publicity director. Suddenly she has a book deal and is frantically trying to pull it off. The book is much more than a romantic comedy as it tackles many of the stereotypical and preconceived notions others may have about Muslims and our cultures and is presented in such a funny way. I loved the constant sarcastic dialogue, how the cultural aspects were infused and how Malik gave insight into a genuine Muslim family. Sofia is an observant Muslim who chooses to wear the hijab, prays five times a day (even during work), but she is not angelic. She swears and smokes. She is also very stubborn and often makes poor decisions with good intentions. She's independent, witty and an incredible friend. Most importantly, she's human. Malik captures the Pakistani culture beautifully from capturing the right accent of her Punjabi speaking family and relatives and by fleshing out Sofia's family. There were may laugh out loud moments that I found in this book in particularly how her parents bickered with one another and all the craziness of family. Sofia also has a great solid group of friends from different backgrounds that also provide a glimpse on how others live their lives. The romance part of the book was not as well developed as Sofia and her family and friends. The potential love interests were distinct and had my interest, but I wanted to know more about the guy she chose at the end of the book. This is a solid start for a romantic comedy featuring Muslim characters and I really hope more books like this will get published and are available. Words of Caution: There is some language and sexual situations. Recommended for teens and adults. This one sounds like fun! Onto the TBR list it goes. This does sound fun even if the romance wasn't as fleshed out as you would have liked. So happy there are more books like this dominating the shelves lately. Oh this sounds good. I love that they are true individuals and not a caricature. That they feel real. Oh I do think you have me curious about this one.